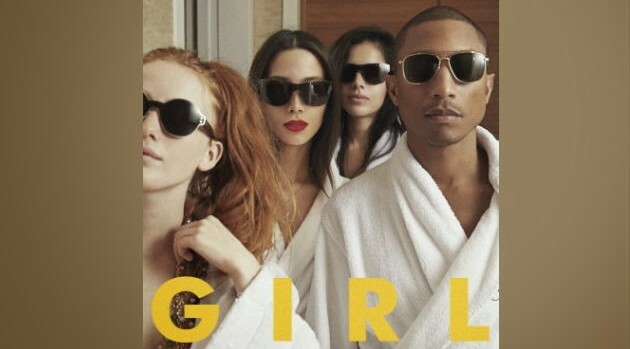 Columbia RecordsPharrell is having a stellar 2014, thanks largely in part to his Oscar-nominated smash hit single “Happy.” To continue his momentum, the singer has announced the next single off his latest album, G I R L.
“‘Come Get It Bae’ is actually my next U.S. single after ‘Happy.’ ‘Marilyn Monroe’ is the International single,” he confirmed on Twitter. His next offering features guest vocals from Miley Cyrus. The hitmaker’s “Come Get it Bae” was recently used as the soundtrack to TNT’s NBA playoffs promotional campaign. In addition to promoting his album, Pharrell also is working on his second literary project, following 2012’s Places and Spaces I’ve Been. “Happy…just finished my new book. You can only read it online. I’ll tweet the link on Thursday. Hope you enjoy,” he tweeted.